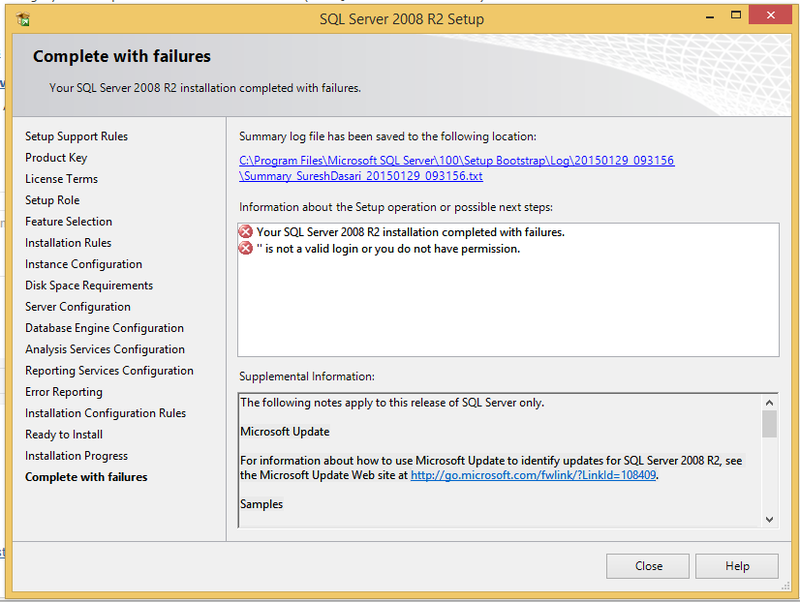 Here I will explain how to solve “it is not a valid login or you do not have permission to install sql server 2008 r2” problem on windows 8.1. 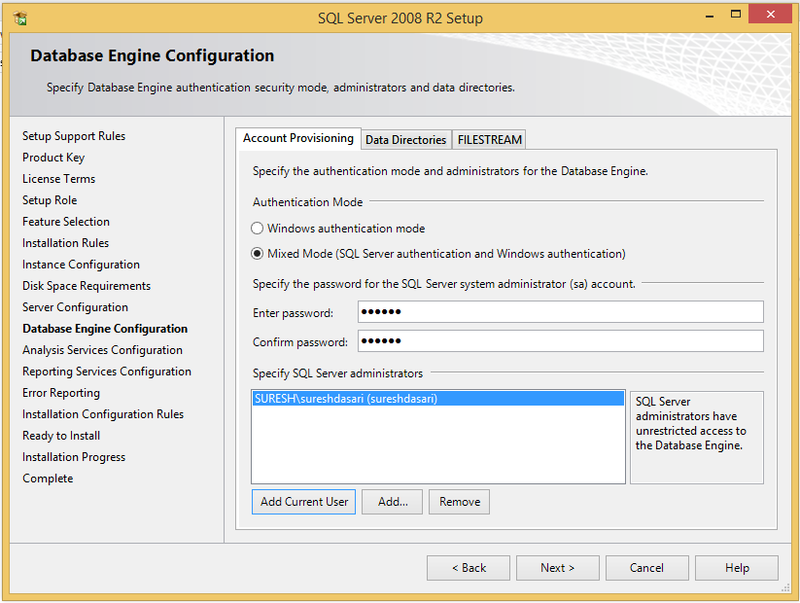 Actually I got this problem while installing SQL Server 2008 r2 on windows 8.1 and I realized this problem occurred because of system name and login name both are same. 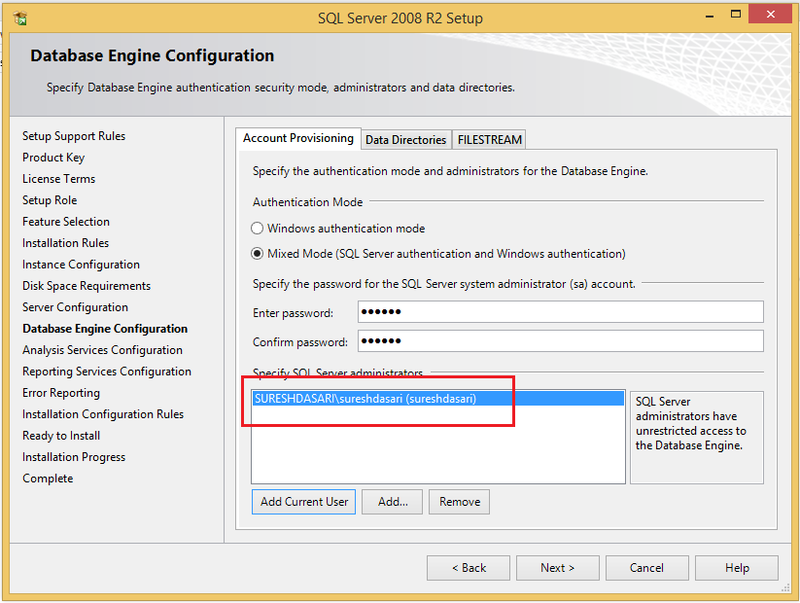 In previous articles xml document load invalid character in the given encoding, sql server invalid use of side effecting operator insert within function, sql conversion failed when converting varchar value 24 and many articles to solve Run time errors in asp.net, sql server. I hope it helps you to fix this problem…….. Happy coding…..
very helpful...it works..thank you sir..!!! it I add a new user instead of the current user, the implication will be that for me to have access to the server, I will have to login as that new user. Is that what it means?